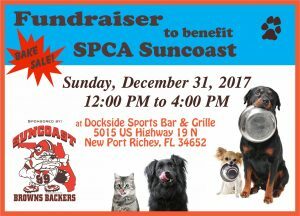 Please join us for the second fundraiser of the season to benefit the SPCA Suncoast on SUNDAY, DECEMBER 31, 2017 from Noon to 4:00 p.m. Bring all your animal goodies to Dockside Grille and join theSuncoast Browns Backers for the activities along with watching the Browns vs Steelers game. And don’t forget a few extra dollars to buy some yummy BAKED GOODS! 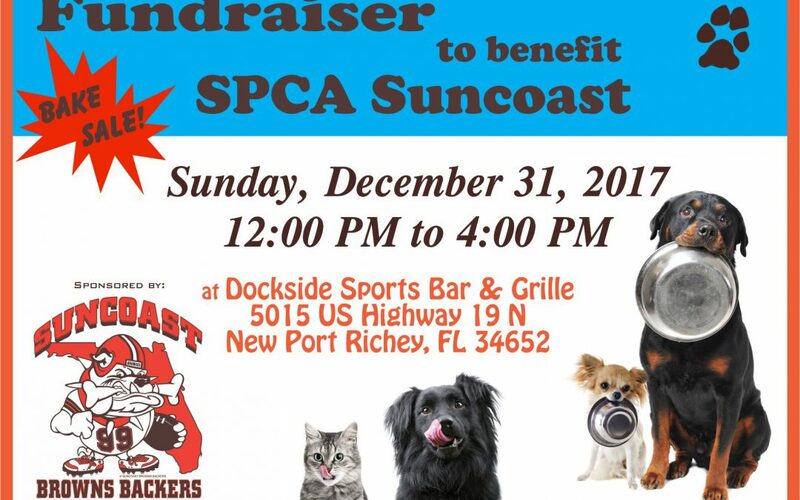 All money raised during our 50/50 and other activities go directly to the SPCA Suncoast!